More than 30 professionals of nursing and tourism sector from Georgia selected as participants of the circular migration project are currently prepared for their stay in Germany. In the course of November and December 2014, three trainings and information events will be offered: (1) a one-week profession-specific preparatory course, (2) a circular migration-specific financial literacy training and (3) an individual migration project planning event. Main objective of the one-week profession-specific courses is to provide practical information in order to support the successful integration in the work place in Germany. The assigned trainers of the professional courses, being experienced professionals from nursing and tourism sector, will address the key components and areas needed for the employment in Germany. Furthermore, a financial literacy training will touch upon relevant financial questions in the migration cycle: key topics participants should know for living in Germany such as financial requirements and procedures, as well as means to accumulating and transferring savings and remittances and opportunities arising from these upon return to Georgia. Finally, an interactive event will provide participants with insights into opportunities and perspectives upon return to Georgia, essential for the well informed planning of the individual migration project prior to departure. The pilot circular migration scheme is part of an EU-project, which aims to generate evidence on means to leverage migration for sustainable development in the frame of Georgia’s mobility partnership with the EU. The project is carried out by the Centre for International Migration and Development (CIM) (a joint operation of the “Deutsche Gesellschaft für Internationale Zusammenarbeit” (GIZ) and the German Federal Employment Agency) in conjunction with the Public Service Development Agency / Secretariat of the Georgian State Commission on Migration Issues and the Georgian Small and Medium Size Enterprises (GSMEA). Next to testing a targeted pilot circular migration scheme, the project provides for diaspora mobilisation activities, including start-up and reintegration support for returnees. On 6 December 2014 the professionals of the nursing and tourism sector from Georgia selected as participants of the pilot circular migration scheme with Germany trained in migration-specific financial literacy. Generously hosted by the Training Center of the Ministry of Finance, the training was conducted by representatives of the Savings Banks Foundation for International Cooperation (SBFIC), the Georgian Banks Training Centre (GBTC) and the GIZ Sector Project Migration and Development. The event forms part of the range of preparatory support measures offered to the participants of the pilot circular migration scheme, next to intensive language and profession-specific courses, and an information event on opportunities in Georgia upon their migration experience. Participants of the interactive migration-specific financial literacy training discussed most relevant questions on financial options and necessities in relation to the upcoming work experience in Germany. To these belonged information on opening bank accounts in Germany and on ways to budget income and accumulate savings, just on how to smartly remit and transfer to Georgia; e.g. by comparing costs and conditions on the German remittances portal www.geldtransfair.de. 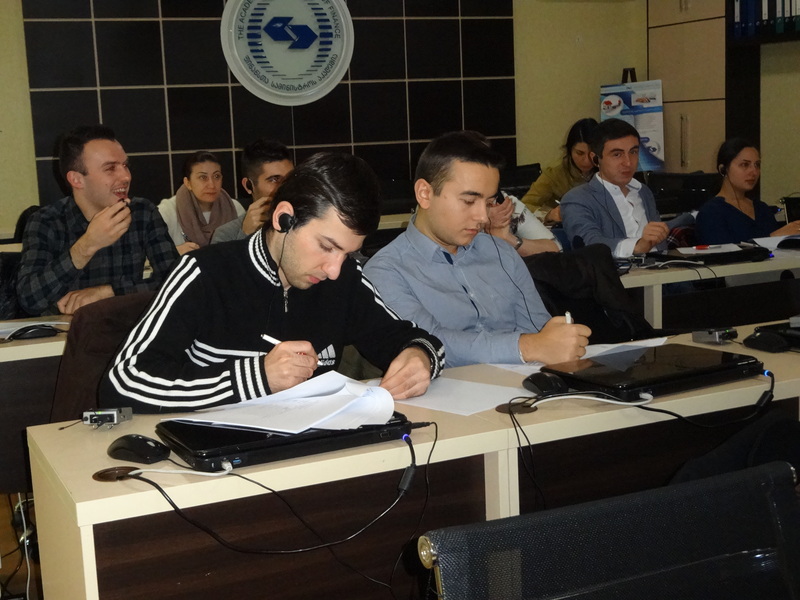 In the course of the training, participants were thus vested with a hands-on and individual to-do list, covering financial matters expected to arise throughout the entire migration cycle – prior to migration, while in Germany and upon return to Georgia. 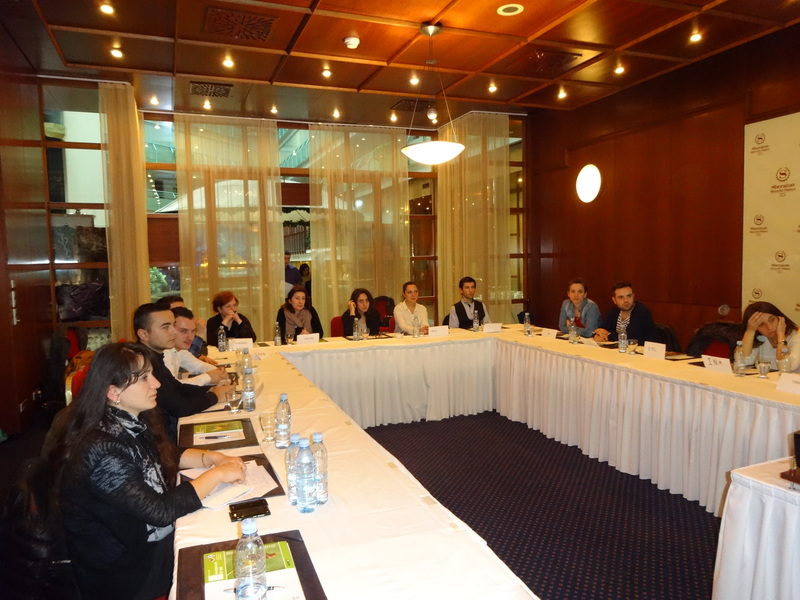 On 13 December, 2014 nursing as well as hotel and restaurant professionals preparing to leave for temporary employment and training in Germany in the frame of a pilot circular migration scheme (PCMS) participated in an information event on opportunities expected to arise upon return to Georgia: with regard to employment, with regard to start-up of business and social enterprises, as well as with regard to knowledge-transfer by means of becoming a trainer. Generously hosted by the Goethe Institute Tbilisi, and organized in the manner of an information fair, the event was opened by welcome addresses of representatives of the MOLHSA and the Secretariat of the State Commission on Migration Issues. During the event, at one stand each, high-level representatives of different institutions in Georgia presented their suggestions and perspectives on diverse reintegration opportunities. Presenting institutions included: Arbeiter-Samariter-Bund (ASB); Centre for International Migration and Development (CIM); Employment Support Center / Worknet division of Social Services Agency (SSA); travel agency Georgia Insight; Georgian Small and Medium Enterprise Association (GSMEA); Integrated Expert on social enterprise set-up; HR recruitment & consulting agency Key Management Solutions (KMS); and Teachers Professional Development Center (TPDC). At the occasion of this early reintegration-relevant contact, the institutions’ representatives offered to stand ready for further inquiries and support also during the participants’ stay abroad and upon return. Participants appreciated the event as very informative and relevant with regard to shaping and specifying plans for their individual migration project and successful reintegration in Georgia. The PCMS is part of an EU-project, which aims to generate evidence on means to leverage migration for sustainable development in the frame of Georgia’s mobility partnership with the EU. In the frame of the PCMS, Georgian nurses and hospitality professionals have been selected for their placement and stay in Germany. The participants will enhance their qualification profile and employability for the Georgian labour market by means of job placement, employment and training in Germany. A range of support measures are offered to cater for the migrants’ needs throughout the entire migration cycle. The project is carried out by CIM (a joint operation of the “Deutsche Gesellschaft für Internationale Zusammenarbeit”/ GIZ and the German Federal Employment Agency) in conjunction with the Public Service Development Agency / SCMI Secretariat and the Georgian Small and Medium Size Enterprises (GSMEA). Next to testing a targeted pilot circular migration scheme, the project provides for diaspora mobilisation activities, including start-up and reintegration support for returnees.